Achelousaurus was about 20 feet (6 meters) long, and weighed about 6 tons. Its skull alone (including the frill horns) was over 5 feet (1.6 meters) long. According to legend, Achelous's horns were torn off in a battle with Hercules. 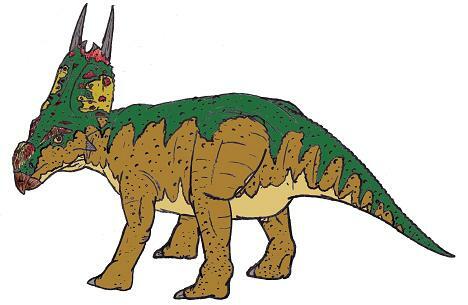 Similarly, when one examines Achelousaurus skulls, they give the appearance of missing horns (Achelousaurus skulls have rough bosses where other Ceratopsian dinosaurs have horns). Achelous was supposed gifted with a shape-shifting ability. 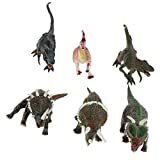 Likewise, Achelosaurus has features which seem to combine and resemble those of other Ceratopsian dinosaurs. Achelosaurus was discovered at the Two Medicine Formation in Montana in the western United States. So far (at the time of writing), three skulls as well as some other material have been found - all of which are located in the Museum of the Rockies in Bozeman, Montana. North American Dinosaurs - Achelousaurus lived in North America. Achelousaurus was a genus of dinosaur. "Achelousaurus" means "Achelous's lizard" - Achelous is a reference to a diety of Greek mythology who had one of his horns torn off by Hercules (Achelousaurus's skull looks like it is missing horns), and who also could shape-shift (Achelousaurus seems to combine features of other Ceratopsian dinosaurs). Achelousaurus was a member of the Ornithischia ("bird-hipped") order of dinosaurs. What this means, is that although Achelousaurus was not closely related to birds, it did have similarly shaped pelvic bones. 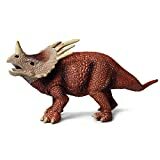 Achelousaurus was a Ceratopsian - a member of a group of related herbivorous (plant-eating) dinosaurs with beaks, many of which had neck frills and horns as well. Achelousaurus lived between about 83 million years ago and 74 million years ago, during the late Cretaceous period. Achelousaurus lived in North America. Achelousaurus was a herbivore (plant-eater). Achelousaurus was about 20 feet (6 meters) long. Achelousaurus weighed about 6 tons. Creativity - This educational and cool 3D toy builds the child's heart in the child's hands. No such thing can enhance your child's creativity and ability to practice like a 3D puzzle. Activate manual design - The Model Security Suite is not only powerful and fun, but its design is also very beautiful! 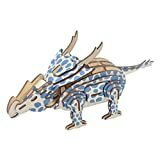 The decorative design of the 3D wooden puzzle looks fascinating in the finished product. Display truly unique wooden pieces on the table, shelf or bedside table. Exquisite packaging, quality materials, sincere blessings. This is the best choice for gifts, such as birthday presents. It can also be used as an event prize, or as a learning material for a school crafts course. What you are about to accomplish is a very beautiful and unique piece of art! Note: It is recommended that children over the age of 6 be assembled and recommended to be installed together with their parents. CollectA's replica of the Achelousaurus is detailed and lifelike down to the texture of its hide and its parrot-like beak. A dramatic bony frill extends from the creature's skull, ending in a pair of curved horns. The plant-eating Achelousaurus lived approximately 74.2 million years ago. Three skulls and other fragmentary remains of this dinosaur have been found in Montana. These fossils show that the skull of an adult Achelousaurus was over 5 feet in length. This beautifully sculpted, collectible replica figure from our Prehistoric Life Collection measures 5.9''L x 2.4''H. 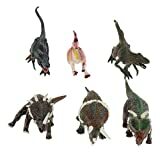 Each figure in our Prehistoric Life Collection has been approved by archeologist Anthony Beeson, a well-respected expert in paleoimagery. All CollectA models are individually hand crafted to the highest standards and made with the finest and safest phthalate-free, lead-free materials. 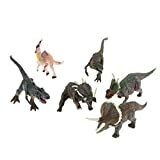 Create a natural world in miniature with high quality toy replicas from CollectA. Our mission is to educate collectors and to provide the greatest oppportunity for creative play. 1. This model comes Without original box.